We are shining the spotlight on some of the amazing brands that our on-site shop, Calveley Mill, stocks, and each month we will choose one brand to feature, that is well known for its dedication to quality and popularity amongst our customers. This month we are taking a look at the award winning Cheshire Farm Ice Cream. Established by Tom and Margaret Fell in 1986 at Drumlan Hall Farm, Cheshire Ice Cream was born as a solution to add value to the excess milk that was being produced by the 300 dairy cows at their farm. Initially selling from a small parlour on-site, the popularity of their ice cream grew immensely, leading them to expand and eventually saw them open the popular tourist attraction, The Ice Cream Farm, which boasts a Guinness World Record for the largest ice cream shop. 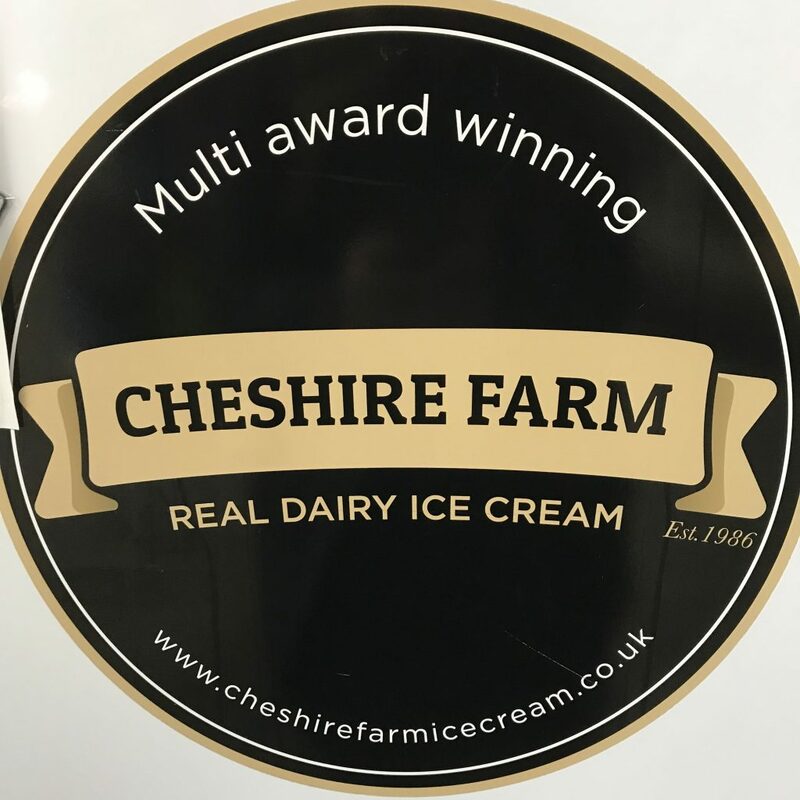 The sheer scale of the Cheshire Farm Ice Cream brand is huge, with 10,000 litres of ice cream produced each day, 50 flavours, 20 staff, and sold in over 1000 outlets, the Calveley Mill team is very proud to be one of its stockists. In addition to these flavours, Cheshire Farm Ice Cream have also developed a number of non-dairy flavours, giving everyone the opportunity to try these tasty indulgent sweet treats. You can pick up your favourite ice cream flavours from our Calveley Mill Shop, Monday to Friday. We’d love to hear your favourite flavour of Cheshire Ice Cream, get in touch on Twitter or Facebook to let us know!